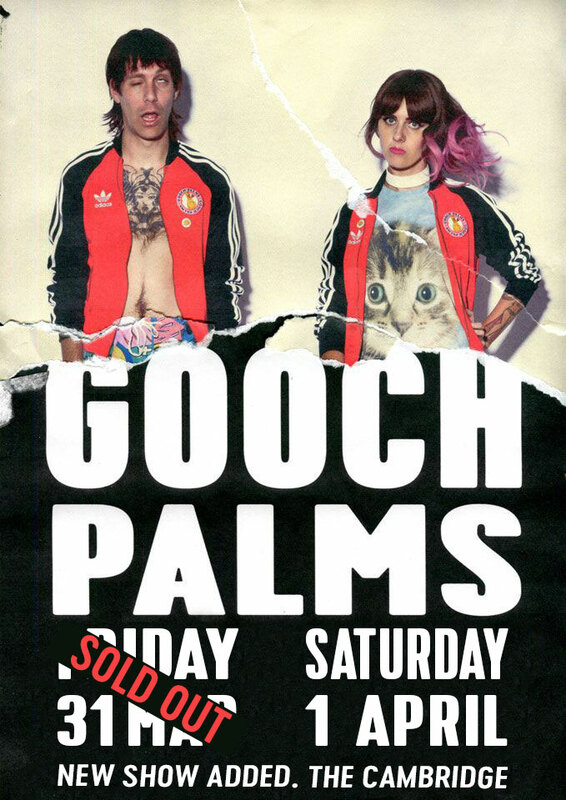 GOOCH PALMS have followed up their sold-out side-bar show on Fri 31st March by announcing a SECOND show on April 1st (the next night). Tickets available immediately. 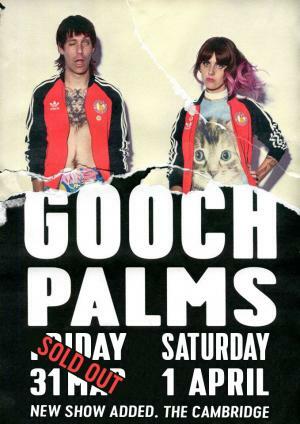 Emerging from the sleepy suburbs of post-industrial Newcastle, Australia, gonzo-punk sweethearts The Gooch Palms have come a long way since recording their first string of lo-fi EPs and debut album Novo’s in their front bedroom back in 2013. These days they call sunny Los Angeles home and split their time touring their notorious live show between the USA, Europe and Australia. It was during an extensive two and a half month tour of North America after relocating stateside in March 2015 that the gruesome twosome upped the ante and hit the studio for the first time ever to work with world renowned producer/engineer Bill Skibbe (The Black Keys, The Kills, Fiery Furnaces) to record their sophomore album Introverted Extroverts. Giving fans an insight into what it’s like to be a a Gooch Palm and adding a few notches in fidelity to crank it up to mid-fi, Introverted Extroverts was met with rave reviews and a wave of sales that saw the proud DIY band successfully launch their own record label Summer Camp Records in June 2016. These two misfits are the epitome of a true underdog success story. From very humble beginnings, not even knowing how to play their instruments only a few years ago to recently playing alongside bands like Violent Soho multiple nights in theatres across Australia, they have chipped away, honing their unique style of indie-doo-wop-bubblegum-punk, playing hundreds of shows and festivals each year and gaining die-hard fans around the world in the process. Their hooky melodies, simple but off-kilter songwriting and undeniable stage presence is what propels The Gooch Palms above and beyond into their own dimension. A dimension where everyone is welcome with open arms, as long as you know how to have a good time.